Irish exports to Arab markets were valued at €4.3 billion in 2016 and are set to grow year-on-year across a multitude of industries including, food & drink, pharma, fintech, aviation, electronics and many more. An economic report commissioned by the Arab-Irish Chamber of Commerce forecasts that Irish exports to the Arab Region will reach €9 billion over the next two decades, highlighting the fantastic opportunities available to Irish businesses willing to look east for trade growth. Now in its third year, speakers at this year's Arab-Irish Business Forum will provide expert analysis, insight and advice on looking beyond Europe for extensive business opportunities, particularly in the wake of the uncertainty that prevails around Brexit. 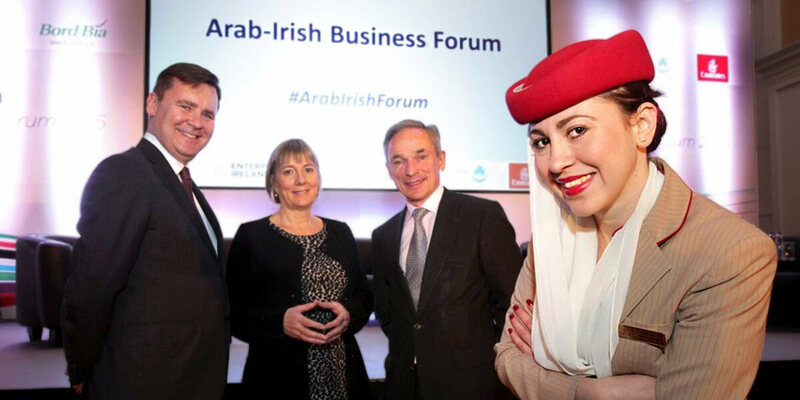 The Arab-Irish Business Forum is a must-attend event for companies already doing business in the region or those considering opportunities there.